Greetings from the president’s office. Can you feel the anticipation in the air for the start of the ski season? 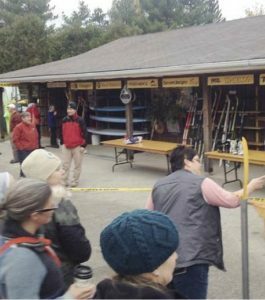 It starts with the ski swap and trail work crews and continues with all the work that happens behind the scenes that many club members may not be aware of. 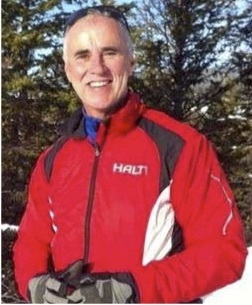 This includes, but is not limited to, trails being cleared of debris, bulldozer work, weeds mowed down, signs put up, lights for the night loop tested, equipment serviced and maintained, volunteers tasks organized, ski races scheduled, events planned, membership forms sent out and registrations are compiled and funds are collected, Jackrabbit coaches lined up, trained and lessons planned, newsletters put together and distributed and website and Facebook pages updated. Shoot that’s a lot of work!!! We could not do it without all the great volunteers that help out with every aspect of running our great club. I would like to thank all our volunteers and trail captains for all the work they do for the club. If you meet a volunteer out on the trail thank them for all their work. If you wish to help out please let us know we are always looking for help. By now most of our club members has purchased their memberships through Zone4.ca. If you have not yet registered, I would encourage you to do so. Once you have purchased your membership you can pickup your sticker for your membership key-fob at Suntrail Source for Adventure in Hepworth or Bikeface Cycling in Owen Sound. Please support these two great businesses that help our club out with registration. I would like to remind club members to wear their membership tags when on the trails. I would like to thank Suntrail Source for Adventure for again, hosting our club-run ski exchange. This is a great event that enables people to get into the sport of skiing in an affordable way, it is also a fundraiser for the club.